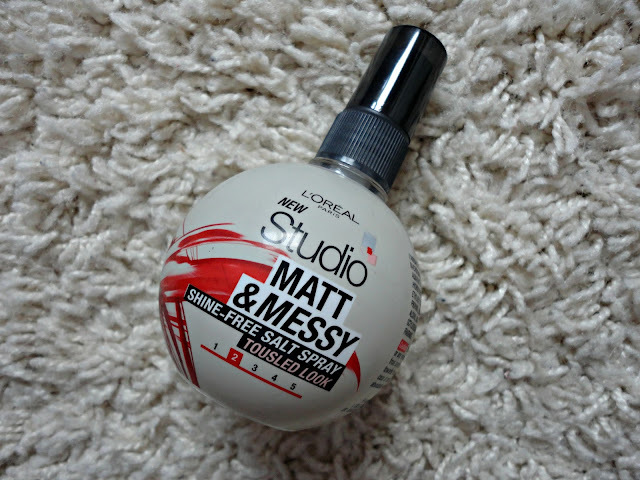 I rarely do hair product posts on this blog, simply because my routine rarely changes! However, when Kate featured this in one of her videos, I thought I'd give it a whirl. I have naturally fairly curly hair, but I'm always keen to get a bit more texture in after I've blowdried it. This seemed to be exactly what I needed, and for £3.69, I thought it was worth a go. I have to say, I've been so impressed by this! When I've tried salt sprays in the past, they've left my hair in a crinkly, crunchy mess, but this is very lightweight and still leaves my hair feeling smooth. I've tried it on both wet and dry hair and had the best results on dry hair, as it leaves a more texturised, voluminous finish a la Cara Delevigne. Alternatively, if you have curlier hair, it will leave you with gorgeous Victoria's Secret waves. I also really like the original packaging of this, and I think it will definitely be coming in my suitcase on holiday for tousled beach waves.